BETHLEHEM — Mike Fish is looking to move one step closer to fulfilling his dream of playing Major League Baseball. The Bethlehem Central High School and Siena College graduate will be heading to Tempe, Ari., at the end of the month for his second minor league Spring Training camp with the Los Angeles Angels of Anaheim organization. 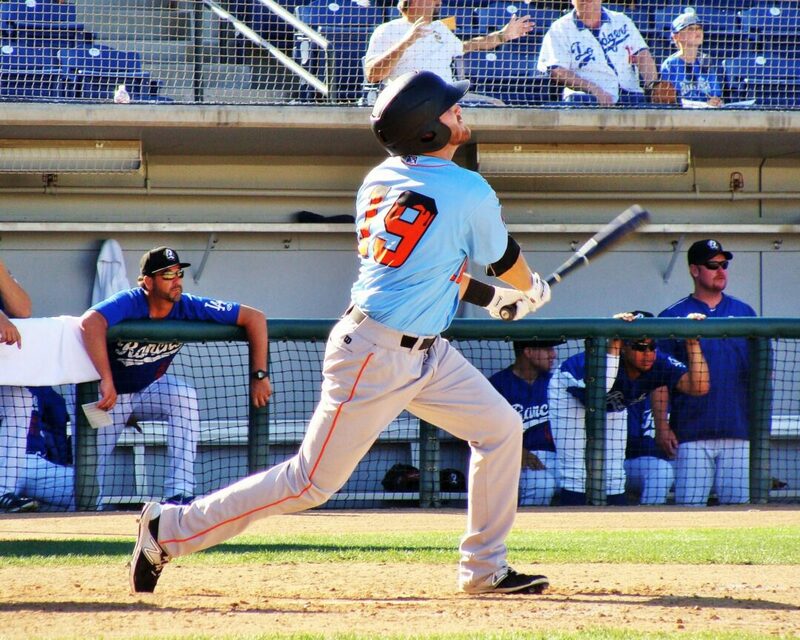 Fish spent the majority of last season with the Inland Empire 66ers of the Class A California League, but he also had a week-long stint with the Angels’ AA affiliate in Arkansas, where he collected two singles in seven games. “I had a good year in high A last year, so I’m hoping to move up to double A this year, but you never know,” said Fish, who was back in Bethlehem last week. Fish’s numbers shifted dramatically from his 2014 season with the Burlington (Iowa) Bees in the Midwest League. He raised his batting average 45 points to .297 with the 66ers, but his power numbers – doubles, triples, home runs and runs batted in – all decreased as he changed his approach at the plate. A 32nd-round pick by the Angels in the 2013 MLB Draft, Fish is competing against a bevy of other talented outfielders in the club’s minor league system to make it to Anaheim alongside such stars as Mike Trout and Albert Pujols. Fish’s journey began with a highly productive three-year career at Bethlehem Central High School, where he was named a first team Suburban Council all-star three straight seasons and earned all-state honors as a senior. Then at Siena, Fish batted .317 for his four-year career and committed only eight errors in more than 500 fielding chances. His best season was 2013, when he batted .367 with 12 home runs and drove in 51 runs in helping the Saints reach the NCAA Tournament. Fish’s senior season at Siena drew interest from a number of MLB teams, which led him to start thinking about a possible pro career. The Angels gave Fish that opportunity, and he ran with it. He split his 2013 season between the Arizona Angels in the Arizona Rookie League and Orem, Utah, in the Pioneer League, where he collected 60 hits in 46 games and delivered a total of 18 doubles, four triples, nine home runs and 42 runs batted in. His first full-season minor league action came in 2014 with Burlington. Fish batted .252 in 110 games, but he registered 40 extra base hits and drove in 57 runs while striking out only 30 times. Now after a 2015 season in which he learned a new approach to hitting, Mike Fish said he’s looking forward to what 2016 brings.